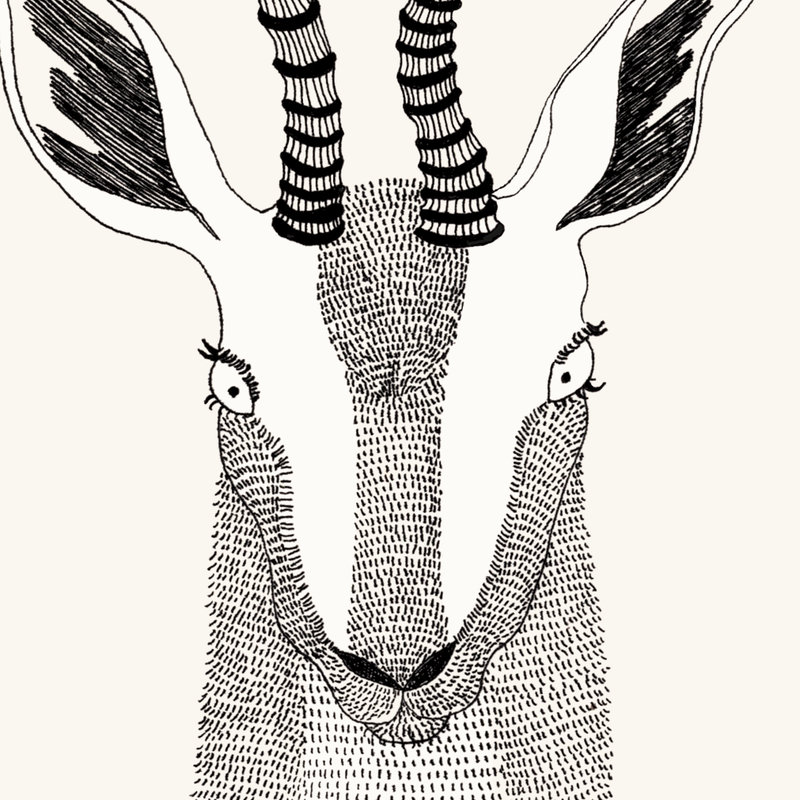 I love drawing people as animals. I do so many of these as special commissions for clients. 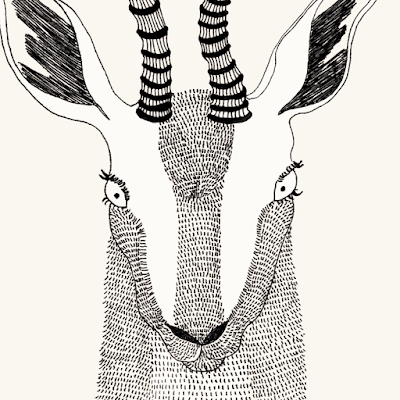 I wanted to do a portrait of two animals that could be girl and boy, girl and girl or boy and boy. 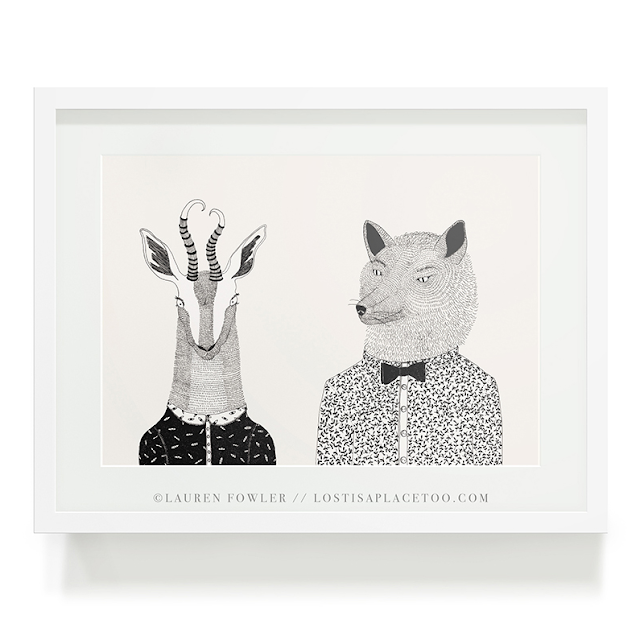 You can find the print on my our online shop Lost is a Place Too. We ship worldwide and collection form the studio in Woodstock is also an option. They're also available in the following Cape Town stores: Fabricate at the Gardens Centre, Present Space at the Lifestyle Centre on Kloof, SAM on Bree St and Flick Inc. at the V&A Watershed.